WHEN: Saturday, August 7, 2010 6 p.m. to 1 a.m.
WHERE: Avalon Boulevard and Opp Street which is located within the LAPD’s Harbor Division. WHY: Despite the tireless efforts of thousands of advocates and law enforcement officers alike, drunk driving continues to be one of America’s deadliest crimes. This operation will be conducted in an effort to reduce the incident of injuries, death, and property damage associated with the intoxicated driver at this location. Harbor Division has experienced a 14 percent increase in Driving Under the Influence related traffic collisions year to date as compared to 2009. The checkpoint will serve as a reminder to the community of Southeast Division to use designated drivers and not drink and drive. Our message is simple: if we catch you driving drunk, you will be arrested. enforcement officers (motorcycle officers), six collision investigation officers and two traffic enforcement sergeants from South Traffic Division will be involved in the checkpoint. Funding for this checkpoint comes from the California Office of Traffic Safety through the National Highway Traffic Safety Administration. We can all help make our streets safer. Report Drunk Drivers – Call 911. 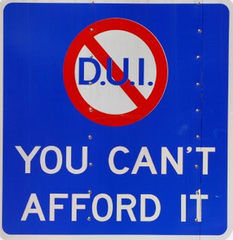 South Traffic Division, CTF/DUI Enforcement Detail at (213) 485-7336 during the hours of 5:00 p.m. to 3:00 a.m.